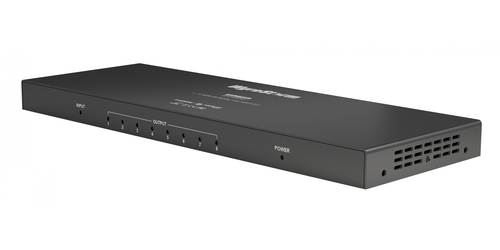 The WyreStorm SP-0108-H2 is a 1 HDMI input and 8 HDMI output distribution amplifier, it was designed to take your 1 HDMI input and split it to up to 8 displays. 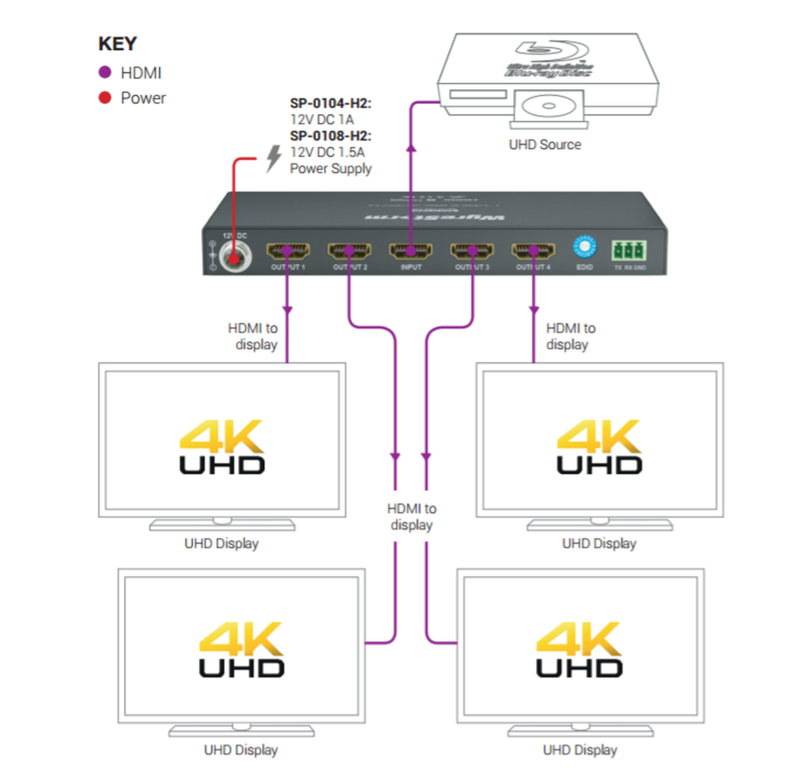 The splitter supports 4K resolutions, the HDMI ports are HDMI 2.0, and the splitter is compliant with HDCP 2.2. 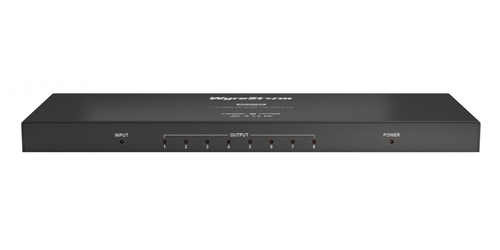 The splitter is only .71" thick and can easily be wall mounted anywhere for a sleek installation. 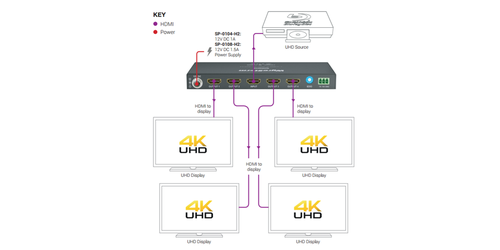 There are EDID adjustments to help with TV compatibility, and LED lights on the front easily let you know what output is active. 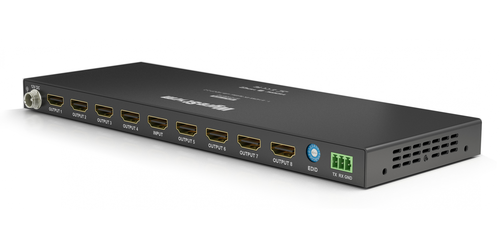 The WyreStorm SP-0108-H2 is an effective solution to split a large amount of HDMI signals to multiple end points with the added benefit of HDMI 2.0 and HDCP 2.2 compliance.